There are a lot of new bells and whistles, and it can be tempting to start budgeting for an upgrade. As with all other new releases, not all contributed modules will have a Drupal 8 version right away. If your site uses a large number of these modules, you will be well served by your Drupal 7 site as these modules are ported to Drupal 8. If you have not yet made the move from Drupal 6, the time to make that move is now. Three months after the release of Drupal 8, Drupal 6 will no longer receive regular updates to patch security issues. We?ve outlined the major changes in Drupal 8 so you can decide for yourself if upgrading now is the right path. One change you will notice is in the admin toolbar. The top level menu features four tabs - Back to Site, Menu, Shortcuts, User. Expand the "menu" button and you expose the traditional toolbar where you notice the ?modules? tab is now called ?extend.? Another change is that the ?blog? content type no longer exists. Drupal 8 ships with ?Article? and ?Basic Page.? That makes sense. You can create any other specialized content type you need, but having both ?Article? and ?Blog? content types was redundant. Other than that, the look and feel is very much the same. There are also changes that you may not notice at first, but these changes are important when looking to the future for many businesses. Drupal 8's mobile first approach is important for many reasons. First, while the vast majority of internet users is multi-platform, mobile-only internet users now outnumber desktop-only users. Being mobile-first, Drupal 8's built-in themes are all responsive and administration pages are easier to use on a mobile device. Another convenience for administrators is the addition of a "back to site" button that takes the admin back to the latest frontend page accessed. This is especially helpful for administrators accessing the site on a mobile device. Drupal 8 ships with Views, CKeditor, and responsive themes making it easier to build and launch sites much faster than before. This comes in very handy if your business or organization creates new sites to announce campaigns, events or new products. Drupal 8 makes it easier than ever to reach a global audience with a built-in translation interface and support from the Drupal community offering automatic software translation updates. Inline editing has come to Drupal via the Spark project. Content creators and site admins will save time and increase productivity by being able to edit pages and posts without going through the back end editing process. The inline editor offers an elegant, modern user interface that adds a tremendous convenience for content creators. Several of the changes found in Drupal 8 result in the platform being more welcoming to new developers. One major change introduces Symfony, a major PHP framework, as the foundation upon which Drupal 8 has been built. Developers with experience coding in Symfony will have an easier introduction to Drupal than they might have previously. ?...if we care about the long-term success of Drupal, we can't preserve the past. The risk of sticking with the old Drupal 7 architecture is that we won't be able to attract many more Drupal developers, and that over time, Drupal will become the odd one out.? For developers the changes are big and may make the development process slower, but according to Buytaert, site maintenance will take much less time. This is a good thing. The less time we spend maintaining existing sites, the more time we have to create and build. One of the biggest changes - and the one that may take some Drupal developers time to embrace is the change in focus from process oriented programming to object oriented programming. Buytaert explains the necessity for the change and discusses pros and cons in his 2013 blog post. ?The advantages and disadvantages of object-oriented programming are well-understood. The disadvantages are size, verbosity, the amount of work it takes to write (including the design planning that goes into it) and slower performance. For people new to object-oriented programming there may be a steep learning curve; some of the key programming techniques, such as inheritance and polymorphism, can be challenging initially. The advantages are encapsulation (both to hide implementation details and to avoid tampering with internal values), faster development thanks to re-use, extensibility, and better maintainability. Compared to procedural programs, object-oriented programs are easier to maintain, extend and refactor. So although a lot of work is spent to write the program, less work is needed to maintain it over time. For Drupal 8 this means that the code will be more abstract, more verbose, and slower, yet also be more maintainable, more modular, and more accessible to non-Drupal developers. The end result is that Drupal 8 should help us attract new people to Drupal in a way Drupal 7 didn't.? Drupal 8 adds the ability for developers to create direct output to screen readers offering greater accessibility to visually impaired readers and Alt text is now required by default so that screen readers can accurately identify images. Another key accessibility feature is "Tabbingmanager" that allows non-mouse visitors to access the different items on a page in the proper order so that the content makes sense. Theming for Drupal just got a lot easier with the introduction of the Twig template engine. Twig is streamlined and has less overhead, making it faster than regular PHP. 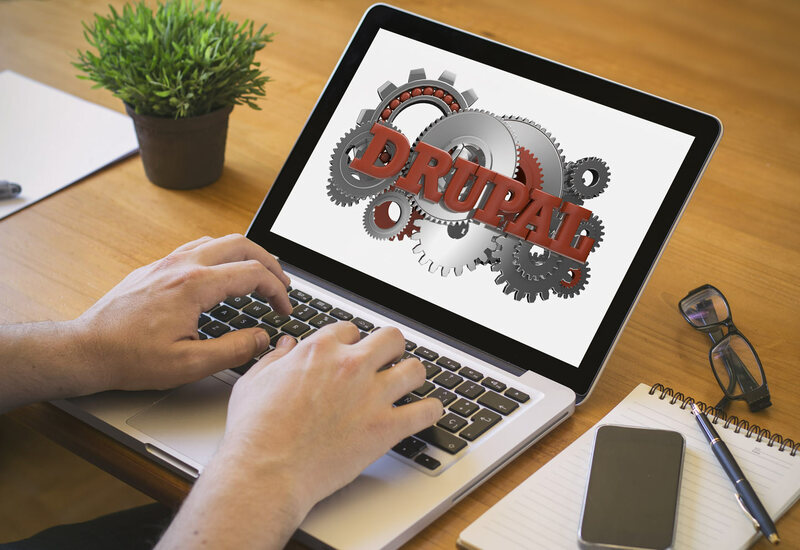 This change will lower one hurdle to creating attractive, functional Drupal sites, and let's face it, theming for Drupal has always been a challenge. You can read more about Twig here. Views, easily the most popular module used by site builders, has now been added to Drupal core ensuring flexibility out of the box. Display content any way you want quickly and easily without writing one snippet of code. Drupal has always set a high bar of entry for developers with complex custom code that has become increasingly more complex with each release. Drupal 8 changes all of that. Developing web services will be easier and we can improve existing APIs. Most importantly, for the future of Drupal, developers will find Drupal more approachable and more enjoyable to work with.